On Saturday – 12 of January two-day presidential elections in the Czech Republic ended. It was the first time ever when Czech citizens decided who is going to rule their country in the direct voting. 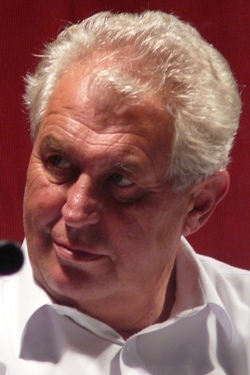 Miloš Zeman which has most often been bet as the winner received 24.21 % of votes, when the second one – Karel Schwarzenberg got 23.40%. As the results shown we are not going to know the answer till 26 of January when the runoff is going to be held. In the pre-election surveys it was Jan Fischer who was seen as the contra candidate for Zeman for the second round. Now he is perceive as the biggest loser. One of the most controversial candidate (because of his tattooed body) Vladimir Franz got also much less votes than surveys predicted and took 5th position. There are opinions that he is already a winner of the election because of the fact of promotion achieved through the presidential campaign. Before the second round of the election, there is an interesting issue to consider – how election of Schwarzenberg or Zeman could influence international relations? Zeman supports widening trade relations with Russia and BRIC countries whereas Schwarzenberg is for deeper integration with the European Union to restore Czech dignity. It was broadly discussed in the foreign media that the end of the term of office of Vaclav Klaus should influence Czech foreign policy. I think that for the fact that the role of president is quite limited it is not going to make a significant changes in the field of foreign affairs. But when we look at that in a broader perspective taking into account parliamentary election which is going to take place in 2014, it could make a difference. Both of the candidates are supported by political parties. Zeman by Strana Práv Občanů ZEMANOVCI – left-wing profile, non-parliamentarian political group and Schwarzenberg by Tradice Odpovědnost Prosperita 09 – proeuropean and conservative one. Second one can count on the backing from young people. 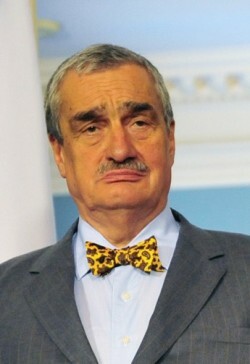 As I noticed among my Czech friends they are gathering together in the groups on Facebook to support Schwarzenberg. On the other hand it is said that communists and the people lives village will back Zeman up. I think that it would take some time to see if we can talk about end of euroscepticism in Czech Republic, at least till the announcement of the results of the next round of the election which as Zeman said „[…] will be a presidential race between a candidate for the left and a candidate for the right”.